Silvia is an amazing host and we enjoyed the whole stay, even became friends. The view from our balcony was breathtaking. Das Apartement liegt super zum Strand und zum Ort. l'emplacement est fantastique. l'accueil est très simple. Die Lage der Wohnung war ideal; schöner Balkon mit tollem Meerblick! Betten bequem und sauber; Vermieterin sehr freundlich und nett! Morgens fährt ein Bäcker vor das Haus — genial! Lokalizacja obiektu. Bliskość morza i fantastycznego nadmorskiego deptaku. Krasny vyhled na more,ciste more.Hostitelka velmi mila,usmevava,vymenili jsme si vzajemne prezent.Ochotne nam vydala klice o dost drive,nez bylo uvedeno. Parkování, klimatizace, velká terasa s výhledem na moře. Silvia má skvělou polohu. Nádherný byl výhled na moře a západy slunce. Majitelé byli velice vstřícní a přátelští. Příští rok bychom chtěli přijet znovu. Silvija Apartments This rating is a reflection of how the property compares to the industry standard when it comes to price, facilities and services available. It's based on a self-evaluation by the property. Use this rating to help choose your stay! 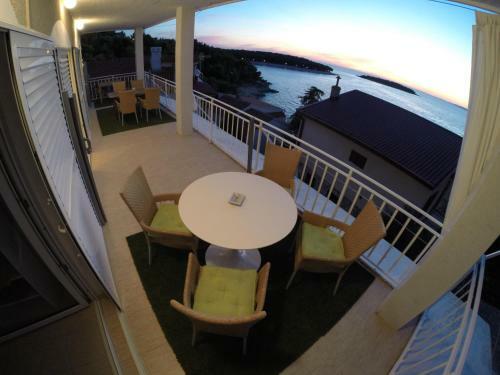 Just 150 feet from the Adriatic Sea and the beach, Silvija Apartments is a modern building just 0.6 mi from Primošten. 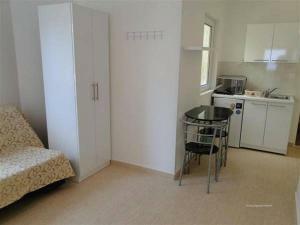 Apartments have a fully equipped kitchenette and air conditioning. Each apartment at Silvija comes with a private entrance and living area with a sofa bed and LCD TV with satellite channels. Some apartments have a balcony overlooking the sea. 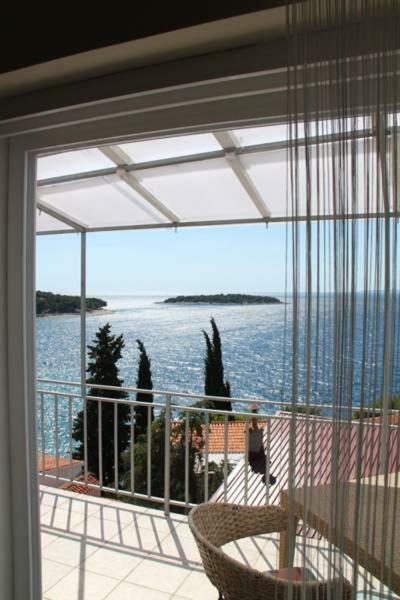 You can walk along the coast and reach Primošten’s city center in 10 minutes. The city of Trogir is 12 mi away. 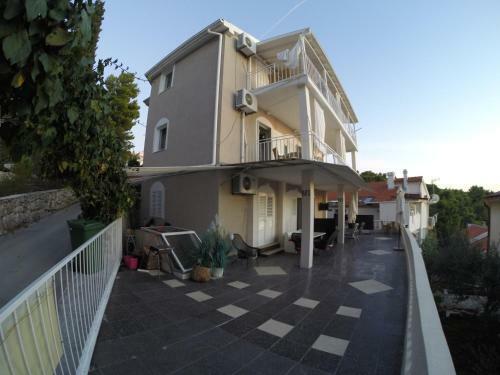 뀐 Located in the top-rated area in Primošten, this property has an excellent location score of 9.1! 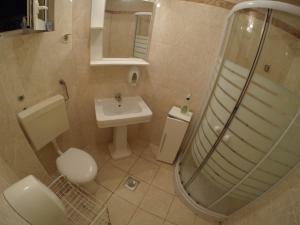 When would you like to stay at Silvija Apartments? 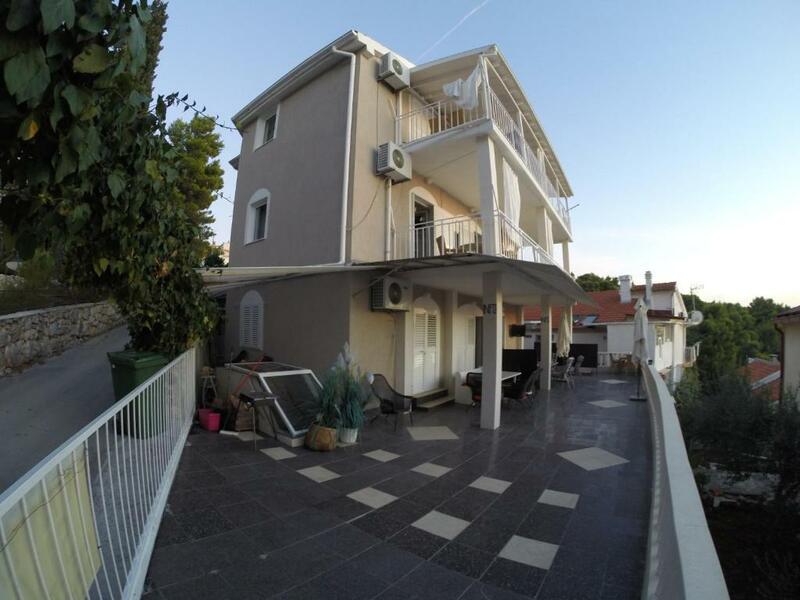 Features a balcony overlooking the Adriatic Sea. 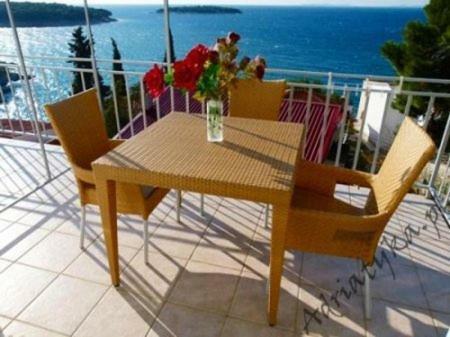 Features a terrace overlooking the Adriatic Sea. 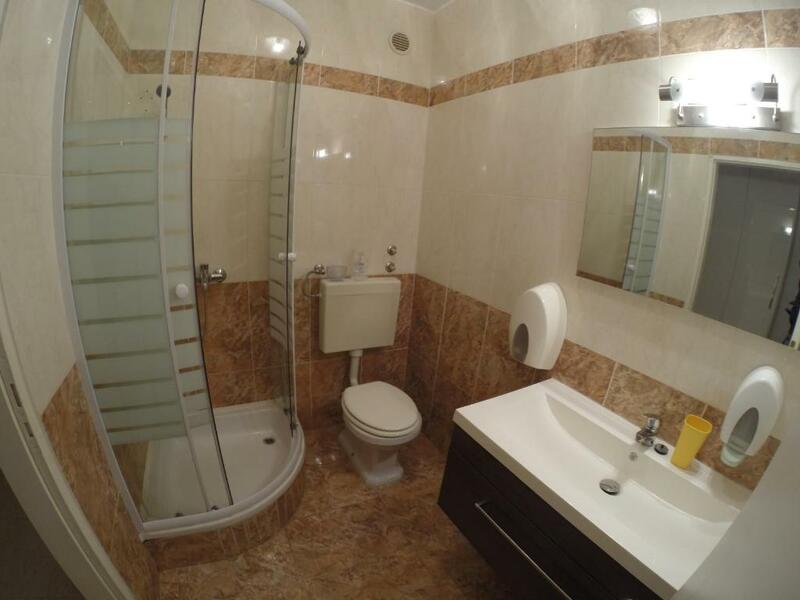 This apartment features a dining area, a kitchenette and a bathroom with a shower. 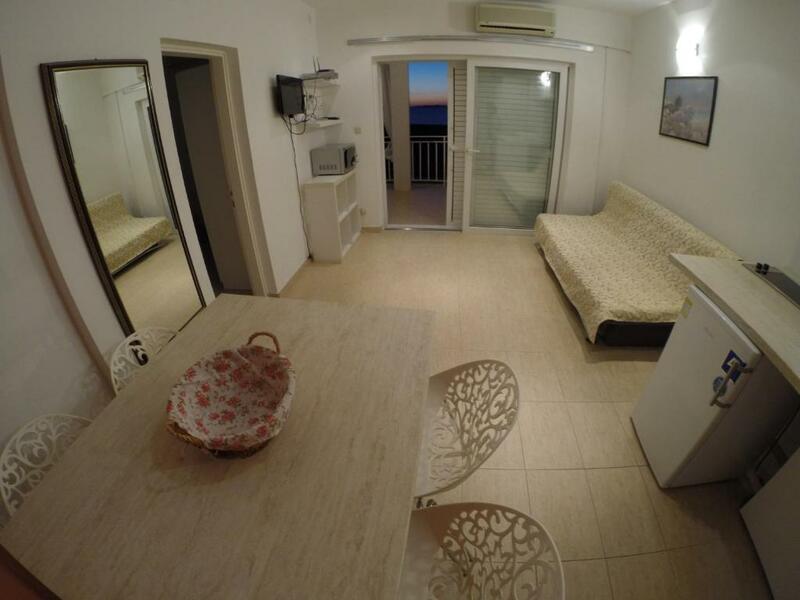 Featuring 3 living rooms, this unit consists of a terrace overlooking the sea, a dining area and a fully equipped kitchen. House Rules Silvija Apartments takes special requests – add in the next step! Please inform Silvija Apartments of your expected arrival time in advance. You can use the Special Requests box when booking, or contact the property directly using the contact details in your confirmation. Great hosts and great location! Towels and bedding not changed, toilet paper and soap not provided. Although the apartment was nice, it was starting to look tired and in need of modernisation, shelves were coming off the walls, pillows spikey from feathers and a poor selection of cooking utensils and crockery. 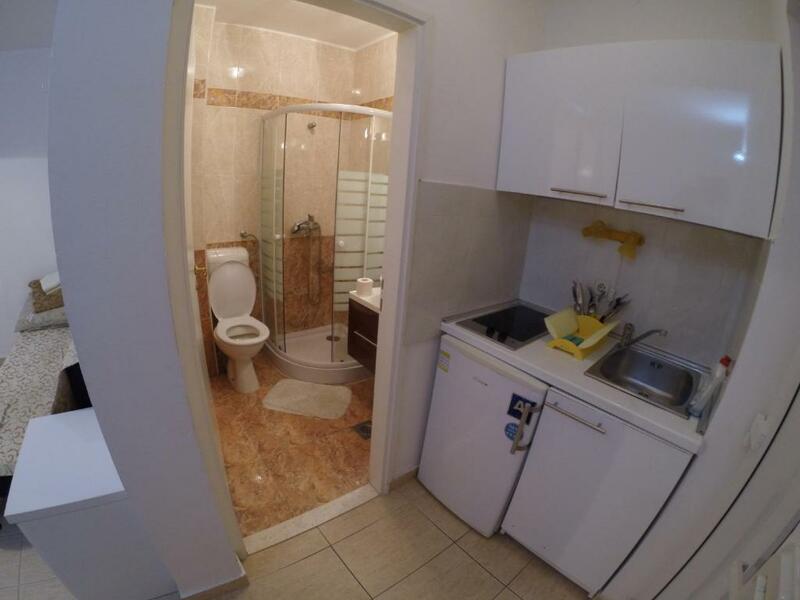 Not really meeting expectations for a 120 Euro / night apartment. Hard matress. Very limited kitchen facilities. Closeness to the sea! The wiew from the balcony.